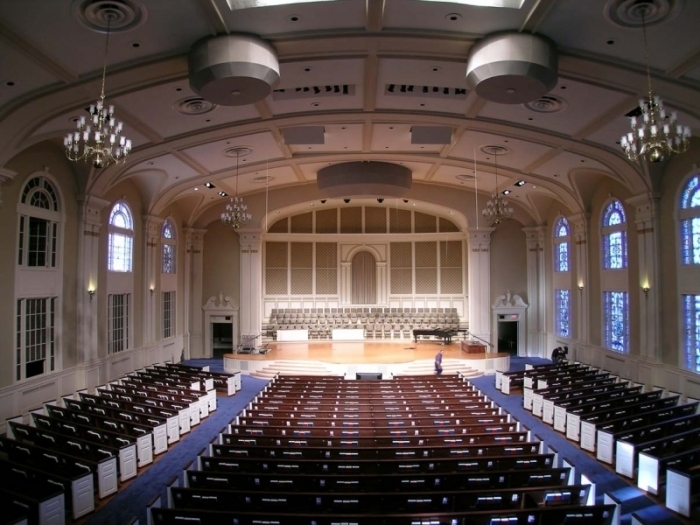 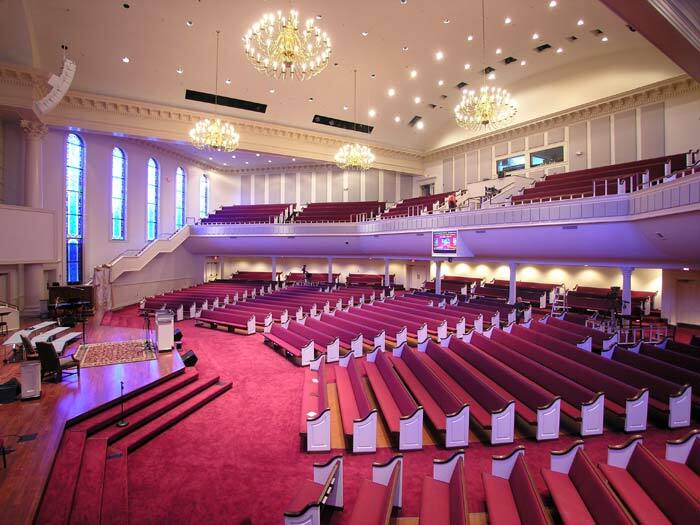 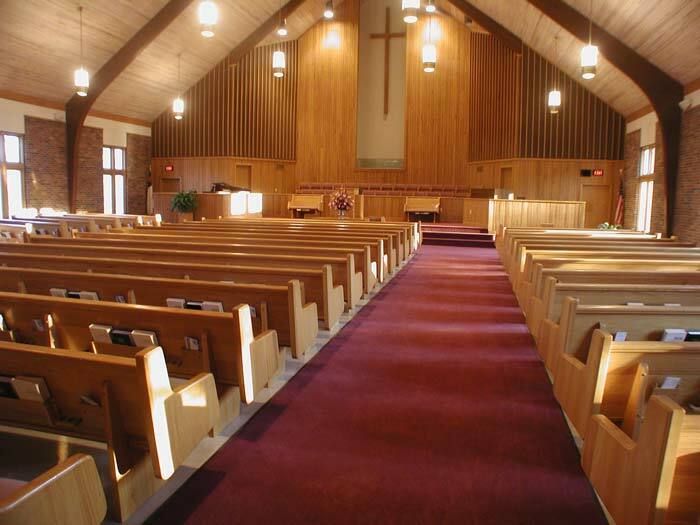 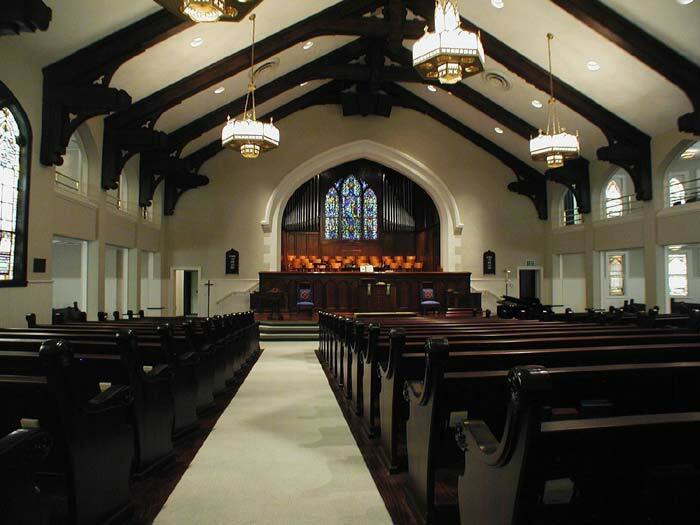 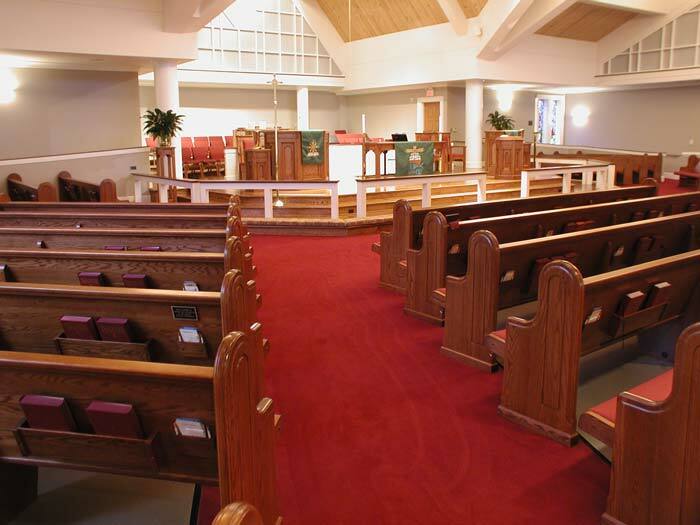 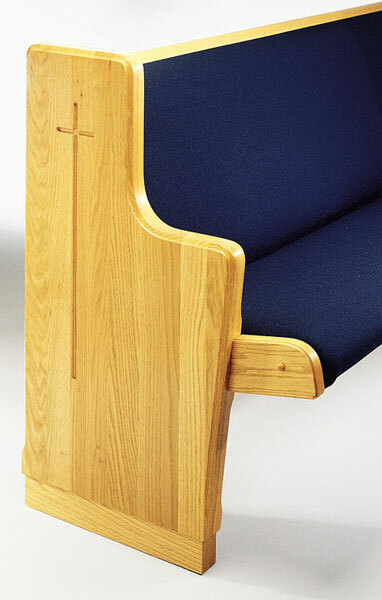 Church Interiors is the manufacturer’s representative for Rugel Church Furnishings. 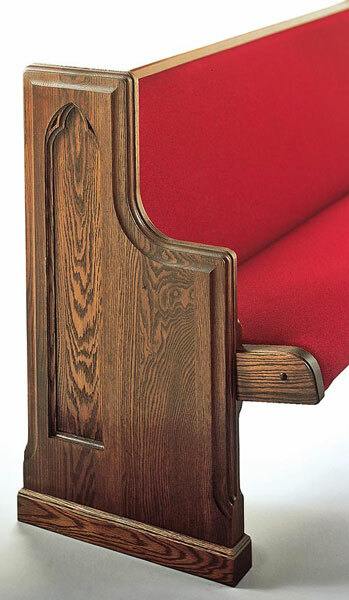 We are a leader in pew designs made of solid oak and maple. 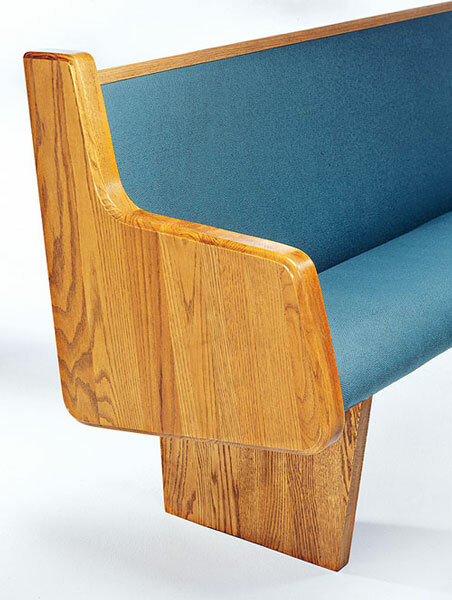 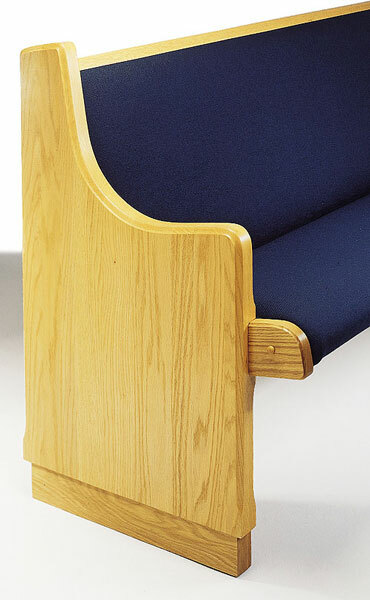 Offering the latest in Modern, Colonial and Traditional furniture offered by Rugel, there is no particleboard used in construction of our church seating. 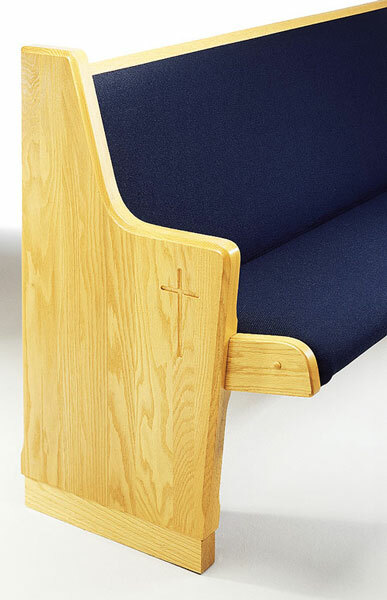 Reinforced with a solid oak inner-frame, our upholstered pew bodies are durable. 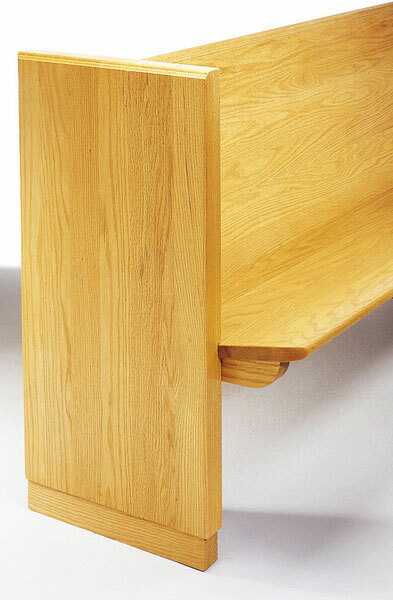 All components are guaranteed not to come loose, as they are screwed together into solid oak or maple, for the life of the installation. 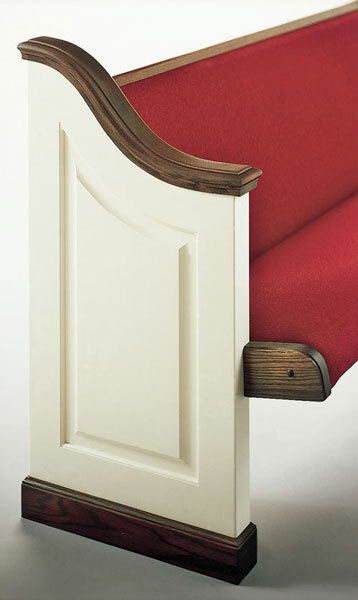 The Colonial ends have a true raised panel route containing extra sharp corners and are 2 1/4″ thick solid maple wood. 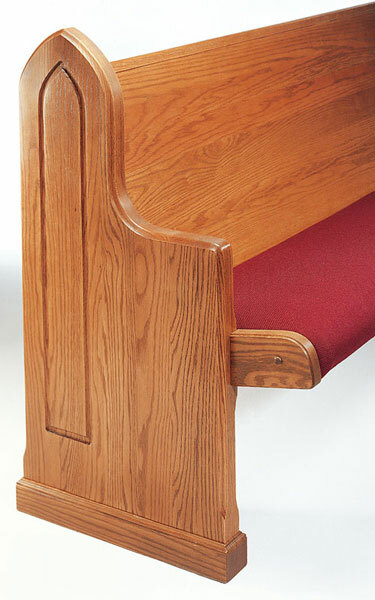 Our selection includes a variety of church pew bodies. 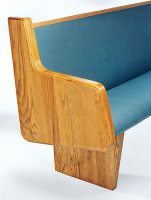 Fully upholstered, solid wood or seat only are among the choices available. 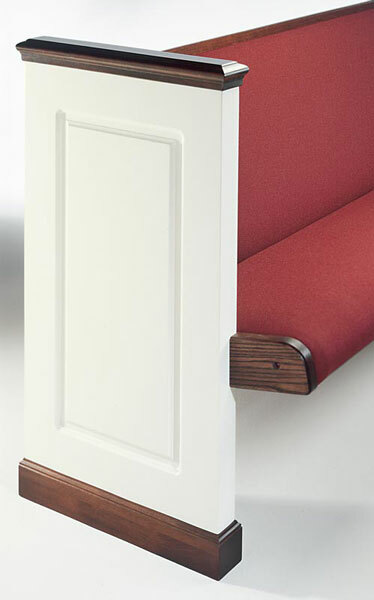 All Church Interiors church pew ends are available with a variety of edge molding options, custom crosses and artwork, as well as decorative routings. 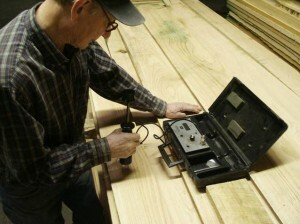 Moisture levels are monitored by our superior craftsmen to insure stability over time. 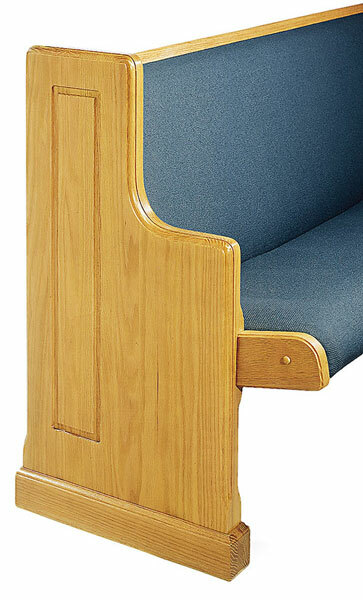 Rugel has a patented oak innerframe that provides church pews with a sturdy and rigid frame with the capability to provide years of service. 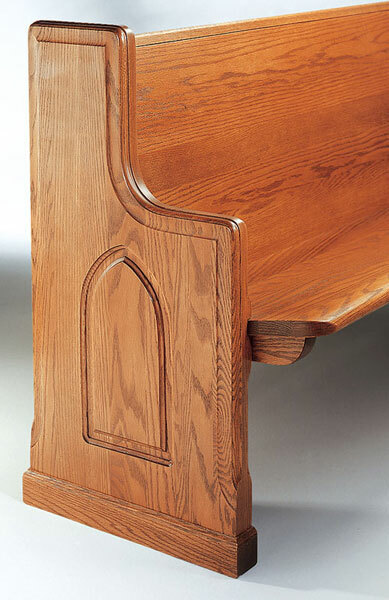 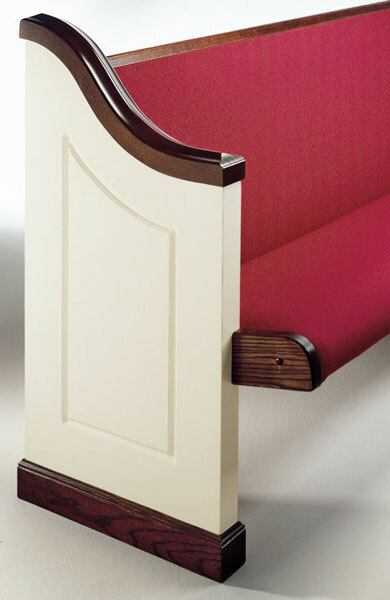 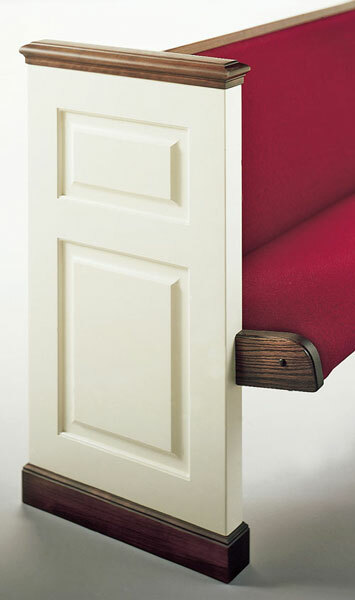 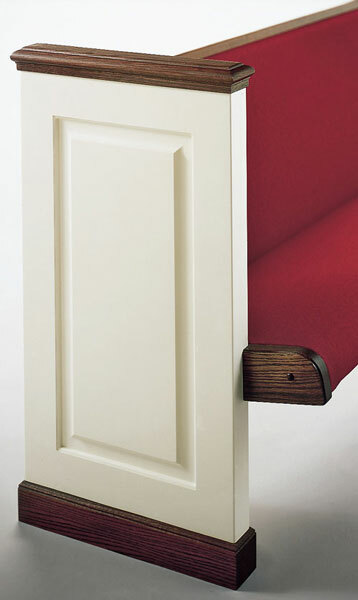 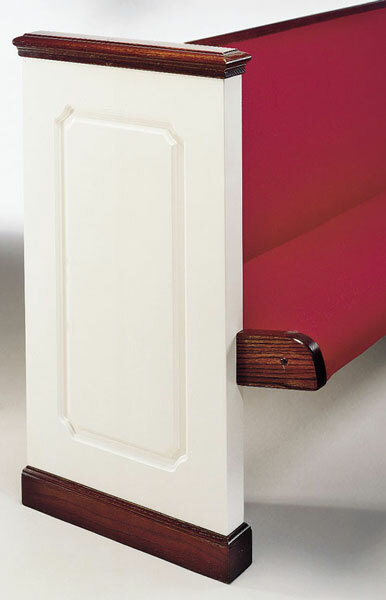 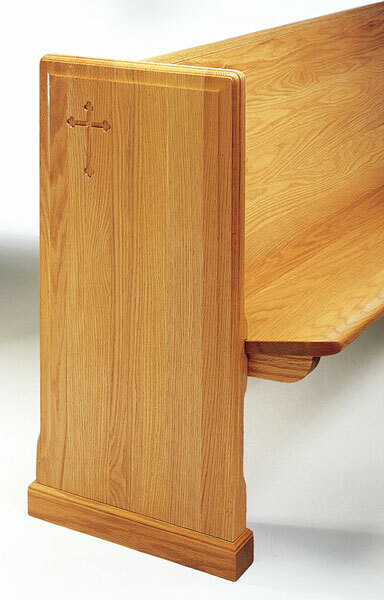 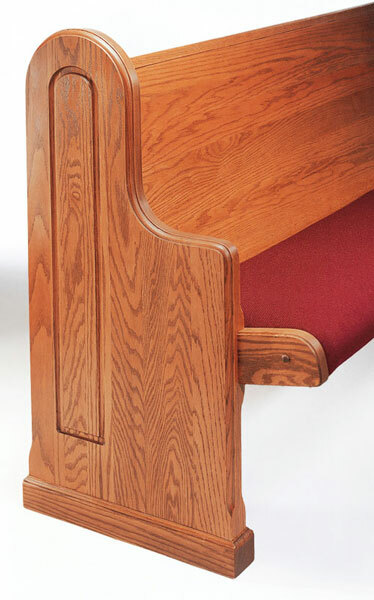 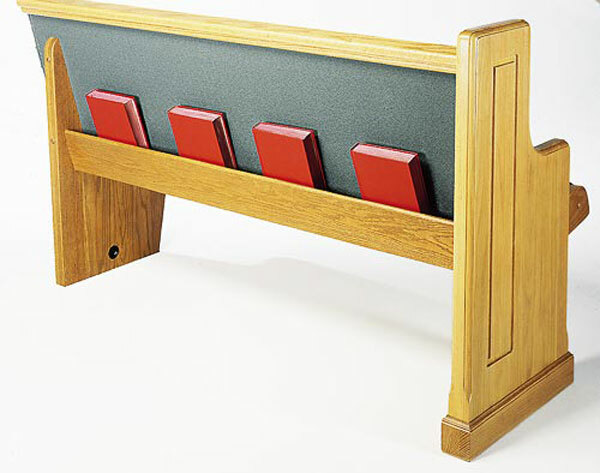 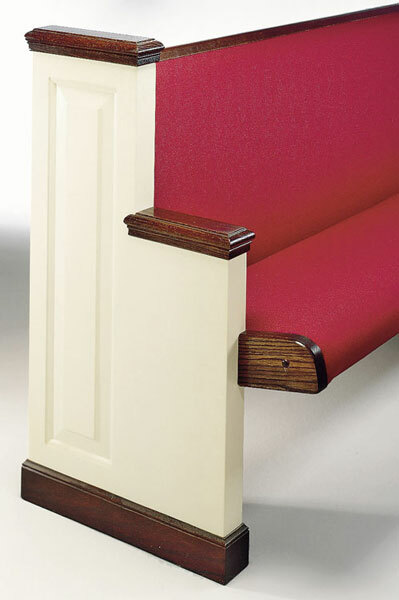 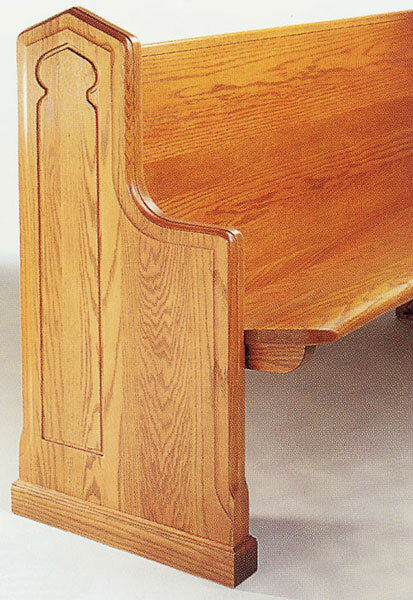 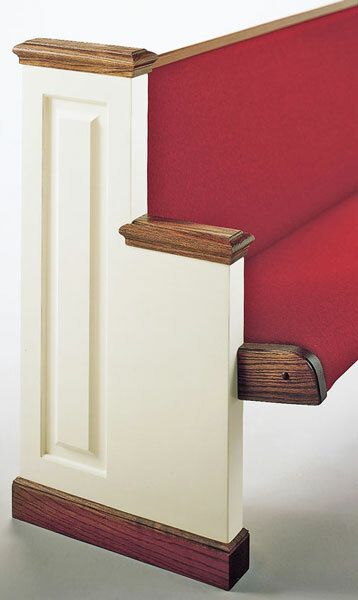 Cap rails are designed to route into each church pew end, creating a joint that is stronger and more durable. 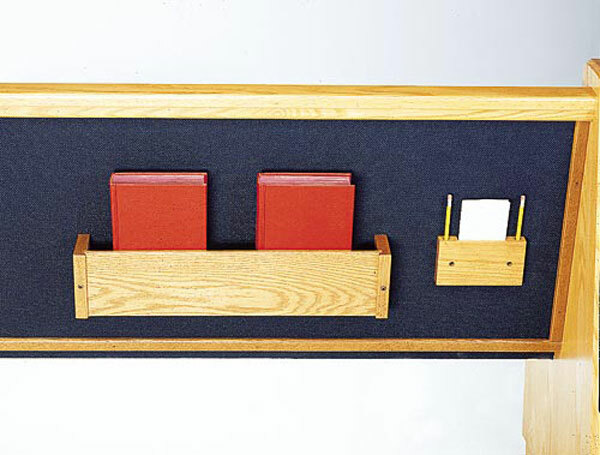 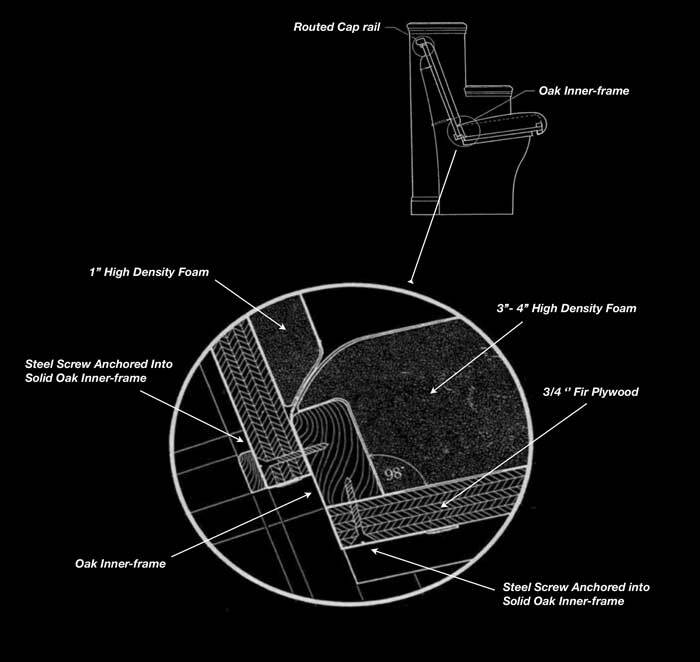 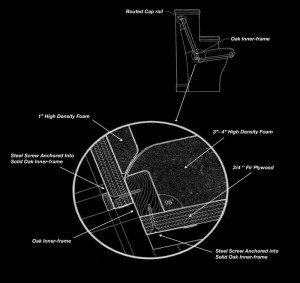 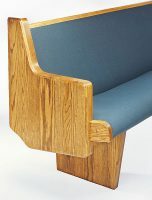 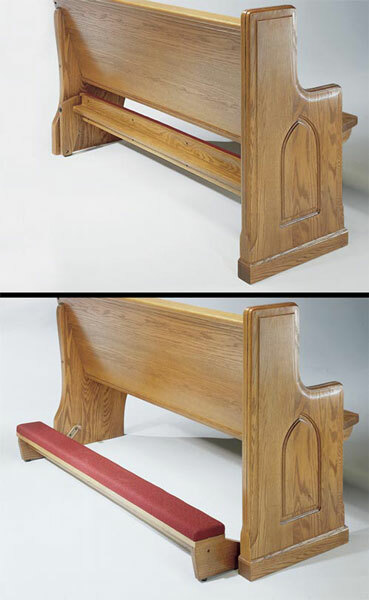 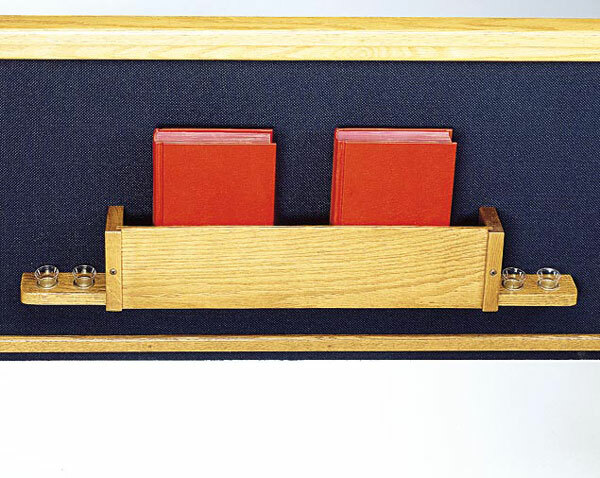 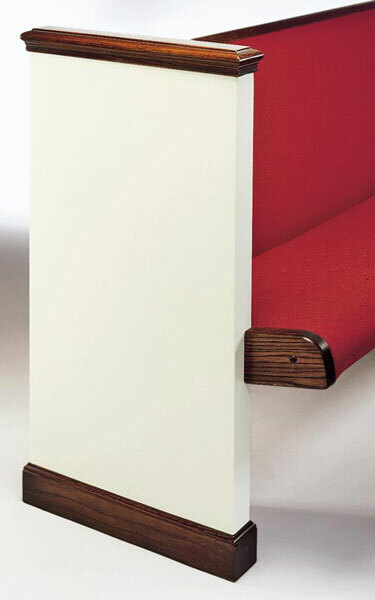 Standard pew backs have 1″ high density polyurethane foam and seats are available in 3″ or 4″ high density foam options. 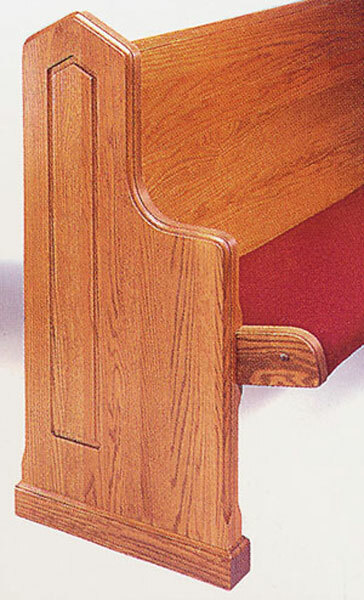 Screws are anchored into the inner-frame, made of solid oak. 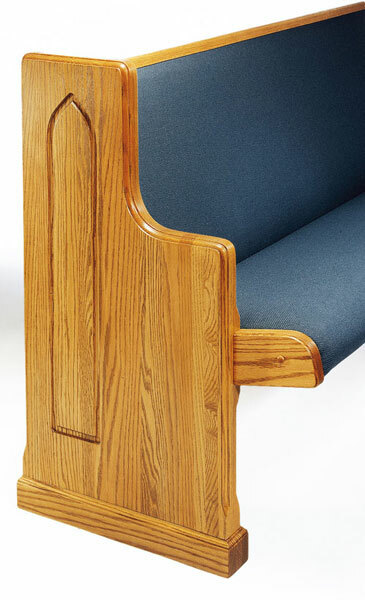 All plywood used on our church pews is high quality fir and do not contain any particle board products. 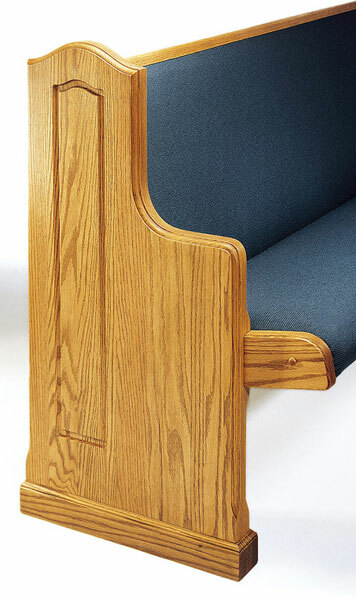 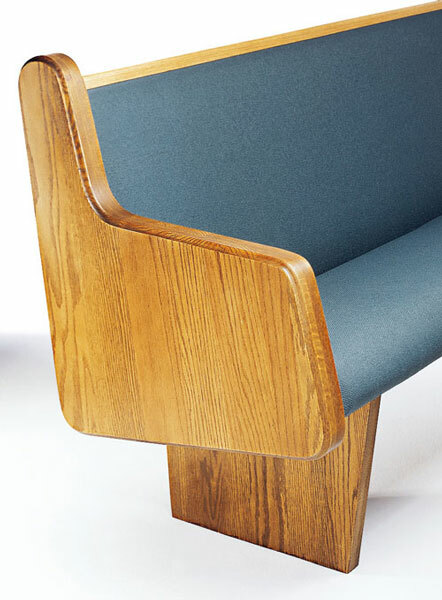 A solid oak inner-frame reinforces our fully upholstered pews.